The ideas in this study expressed by the former Ambassador to France with NATO emerged before NATO's intervention in Libya. However they remain entirely topical, since they explain why France has returned to NATO's integrated military organisation and the consequences of this. Moreover, we might say that this article throws light on further issues raised by the Alliance's involvement in Libya. 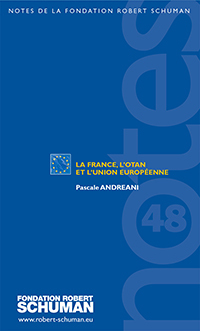 This is why, before we can even assess the developments and "strategic surprises" that have occurred over the last few years, it is useful to offer our readers an article which reviews the Alliance's relations with France and the European Union. European Legal Area in Europe Which perspectives ?